10K Run: An exciting longer distance run. 5K Run: A flat, fast, scenic course along MLK Drive perfect for new and seasoned runners alike. Virtual 5k: Run for Clean Air ANYWHERE! 3K Walk: A fun and spirited stroll to celebrate Earth Day. Kids’ Fun Run: A ½ mile fun run for ages 6-12 and 250 yard dash for ages 5 & under. Psst... You've got Perks! Get 20% off registration when you use the code SEPTAPERKS20. Learn more here. SEPTA is a proud partner of the Run for Clean Air, as public transportation helps improve air quality by taking more cars off the road and reducing daily carbon emissions. This year, 30 SEPTA employees will participate in the Run for Clean Air to celebrate sustainability in the Philadelphia area and beyond. In addition to our SEPTA employees taking part, we will also be at the Run for Clean Air with our prize wheel. 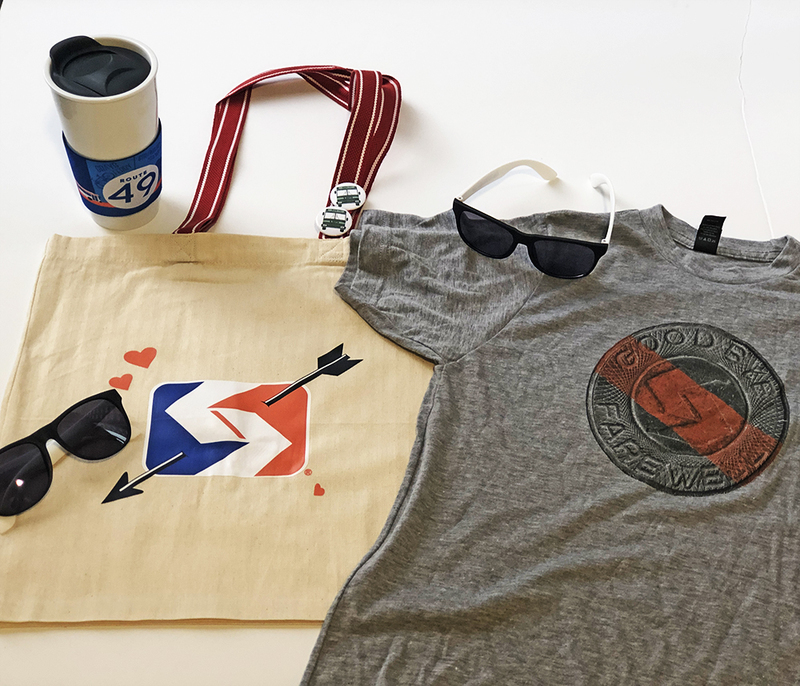 Stop by the ISEPTAPHILLY tent before or after you race for a chance to win some of this awesome swag! We'll have token tees to celebrate their final farewell, tote bags, reusable coffee sleeves, sunglasses, and buttons. Parking on MLK Drive is sparse - get there on SEPTA. Bus Routes 7, 32, 38, 43, 48, and 49 all serve the Art Museum area. Be prepared for detours due to the race. Plan your trip here.